Moving is what we do. We have been open for 20 years now and have a ton of experience with moving and will be able to get you from point A to point B in no time at all! If you are looking for a moving company that will take care of you like you are family, then you came across the right company. Come and see what we have to offer and we will surely be able to help you out. We have been at this long enough to know what to do when you bring a big moving preposition to us, so you know we are the place to be. Moving has been something we have been able to do for years and will continue to do it for years to come. We have the very best workers at our company and know exactly what it takes to find a good moving employee. It takes a lot to be a dedicated mover and a lot of experience. That is why we put our movers through a ton to make sure they are ready to treat you right. We also spend a ton of money each and every year to make sure that we have everything needed to make sure you can get to your destination safely. If you keep the business coming, we will keep spending the money on our company. Come and see what we have to offer today! 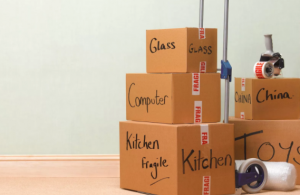 We are ready to help you move!